Week of Felt Animal Making! 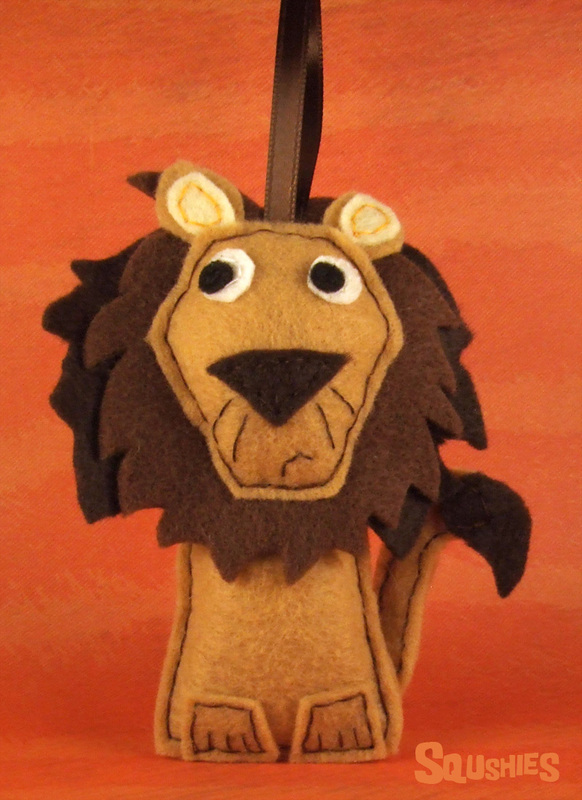 Another week of making felt animals! This week was all about working on new critters. I had a bunch of animals that I cut out before Christmas that I just finished up sewing this week! The dog above was one of the animals I cut out over the holidays. He should be in the shop sometime soon, once his photos are edited and his story is written. 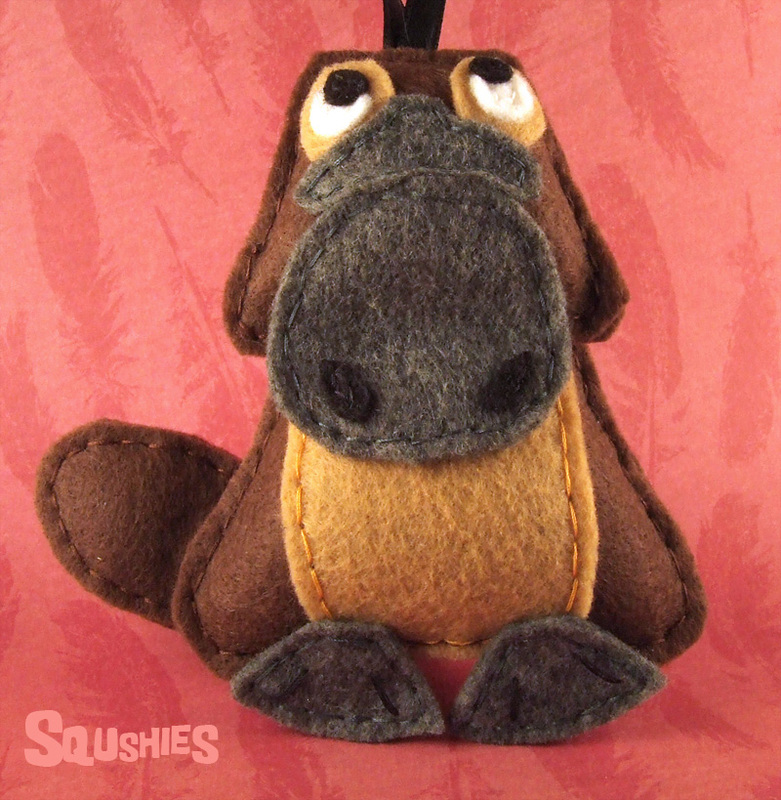 It is almost time for National Dog Week and the release of the Squshies felt dog ornaments!!! Anybody else super excited? I love warm weather, but this week the weather has definitely gotten the best of me. Its been at least a 100 every day since Monday. Not super fun in a house that likes to trap heat and has no air conditioning. This has meant of lot of finding excuses to get out of the house and avoiding the computer as much as possible. The computer room gets really warm, really fast with the computers running. 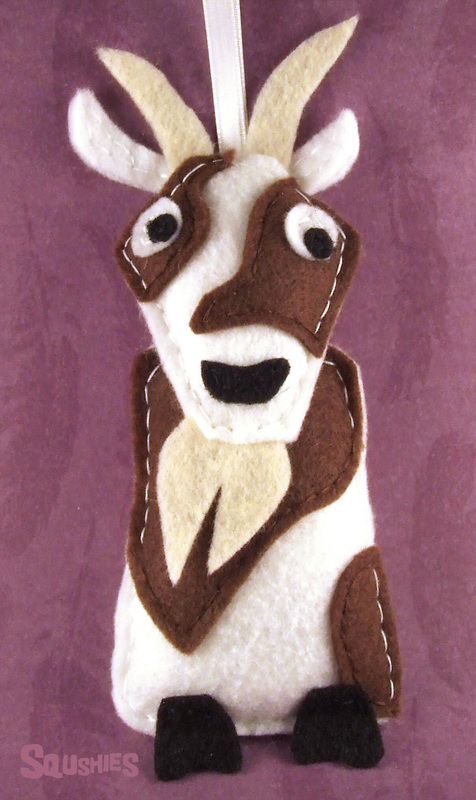 One new Squshie to meet this week who is also the latest addition to the collection of felt farm animals. Meet Winston the Goat! Been busy lately cutting lots of felt. There is a whole pile of new critters I'm working on and I'm restocking a bunch of animals. Now just need to find the time to sit down and sew, sew, sew! Anways on to the newest Squshies! 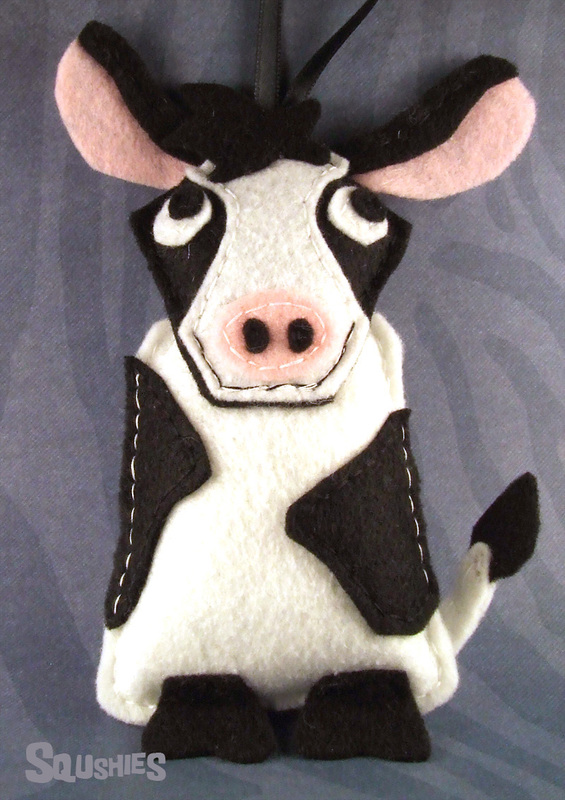 First is the newest addition to the collection of felt farm animals, Fiona the Cow. Finally going to catch the blog up with all the stuff in the shop. We'll see how long that lasts. I'm always so terrible about keeping up with blog posts. Anyways meet the newest Squshies!